Thames Discovery Programme - TDP on the TV! 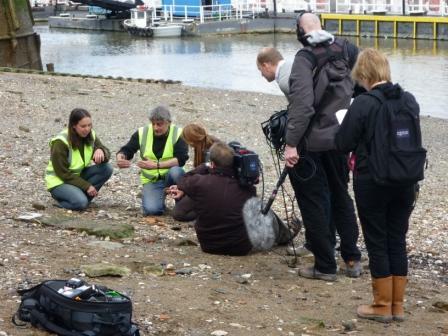 In case you missed tonight’s episode of Digging for Britain presented by Dr. Alice Roberts you can catch up with news from the Thames Discovery Programme’s work at Greenwich here. The programme also features an interview with members of the Thames and Field Metal Detecting Society together with reports from Museum of London Archaeology projects at The Theatre, The Globe and The Rose and information about the Gresham Ship Project, also directed by our very own Gustav Milne. For further information about the recent Summer Season fieldwork at on the foreshore at Greenwich, see here.